Mass transit is part of the solution to the great crises of our age. We can’t stop climate change without a realistic alternative to driving for the great mass of people. And we can’t build a just society as long as low-income people have to choose between compromised mobility, or spending more than they can afford on car-ownership. Bottom line? We need a true round-the-clock mass transit system that unites our region, serves our neighborhoods, and is accessible and affordable for everyone. WTF, Olympia? 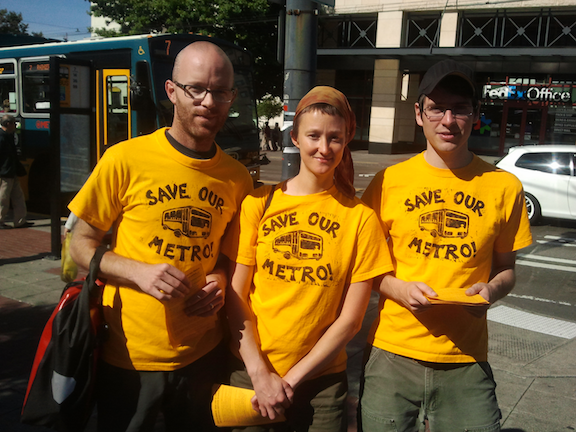 Fund public transit! 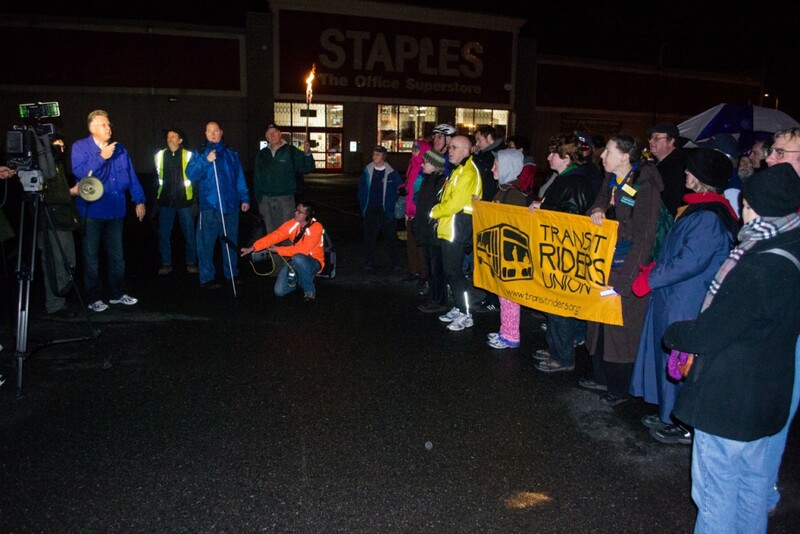 The Transit Riders Union was originally founded to resist cuts to bus service. 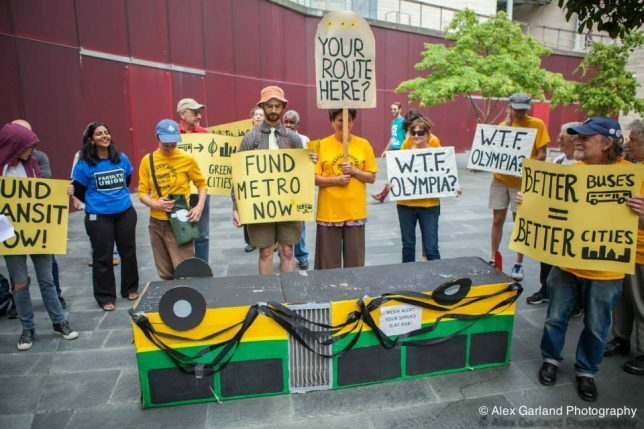 We thought it was crazy that in the depths of the Great Recession, when people were struggling and really needed to be able to get from A to B, anyone would consider dismantling our public transit system. 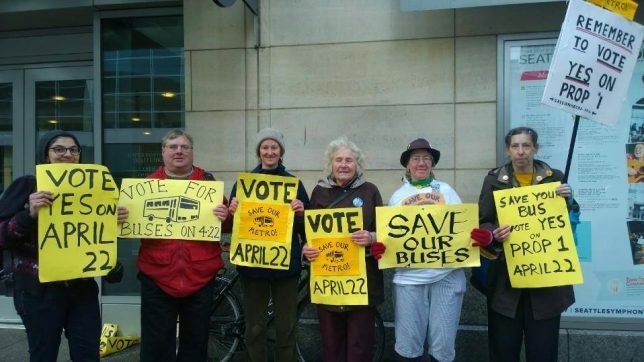 Since then, TRU has repeatedly resisted transit cuts and supported measures to preserve and expand public transit service and infrastructure in Seattle, King County and beyond. At the same time, we know we need to tackle the deeper causes of austerity and underfunding of transit and other public goods and services. And we need to hold elected officials accountable. Of course, we can’t do it alone. 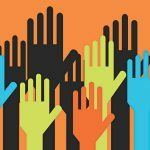 TRU is helping to build a movement to take our democracy back from the organized power of big money that is sacrificing our planet and well-being for sake of short-term profit. Join us!